Although there are only 20 amino acids, they comprise the basic building blocks of life. Without amino acids, we couldn’t survive. Nine of the 20 are ‘essential’ because our bodies can’t make them–we have to obtain them from food or supplements. Tryptophan is one of those essential amino acids. Tryptophan is a precursor to a molecule produced by the brain called 5-hydroxytryptophan (5-HTP), which stimulates serotonin production. Serotonin is our primary feel-good hormone. Your body releases it when you eat certain foods (especially carbs and sugar–which is why you feel like you’re walking on air after you eat chocolate). There are two forms of tryptophan: l-tryptophan and d-tryptophan. The l-form occurs in nature, while the D-form is synthetically made in a laboratory. Tryptophan balances your hormones and boosts your mood. Foods that are rich in tryptophan combat anxiety, promote feelings of calmness and even induce sleep (think of the strong post-turkey dinner desire for a nap). It could also help burn fat by reducing cravings for sweets and carbs, which may even help defeat a sugar addiction. Read on to learn more about how tryptophan can benefit your health. If you’re not getting enough sleep, it could lead to depression, inability to concentrate, weight gain, muscle pain and poor memory. Tryptophan helps promote healthy sleep (without the side effects that often accompany prescription medications). Tryptophan supplements are generally more effective at promoting sleep than food sources of tryptophan. Studies have shown that people who take supplements fall asleep faster and note significant improvements in the quality of their sleep– including less tooth-grinding and reduced sleep apnea. It can even improve your mood the next day (x). So why exactly does tryptophan make you sleepy? When you eat tryptophan-rich foods or take a tryptophan supplement, your body converts it into the neurotransmitter serotonin, and then coverts that serotonin into melatonin–the hormone that regulates your body’s sleep-wake cycle. Research shows that taking tryptophan increases both serotonin and melatonin levels, helping you relax and ease into a great night’s sleep (x). Besides helping you catch some ZZZs, tryptophan acts as a natural antidepressant, alleviating anxiety and other symptoms of stress. In fact, low levels of tryptophan can actually make you feel unhappy. Studies found that people who consumed large amounts of amino acids but no tryptophan felt markedly more nervous, anxious and tense. Insufficient tryptophan levels may also worsen impulsive behaviors and aggression in individuals with a tendency toward aggression (x) (x). Adding a tryptophan supplement to your bedtime nutrition routine could help you finally get a full night’s sleep and promote lasting feelings of calmness and well-being. Low levels of tryptophan could harm your long-term memory, especially memories of experiences and events (x). This is because when tryptophan levels are low, it lowers serotonin levels, and serotonin plays a role in memory recall. Taking tryptophan with your dinner can help boost your memory. 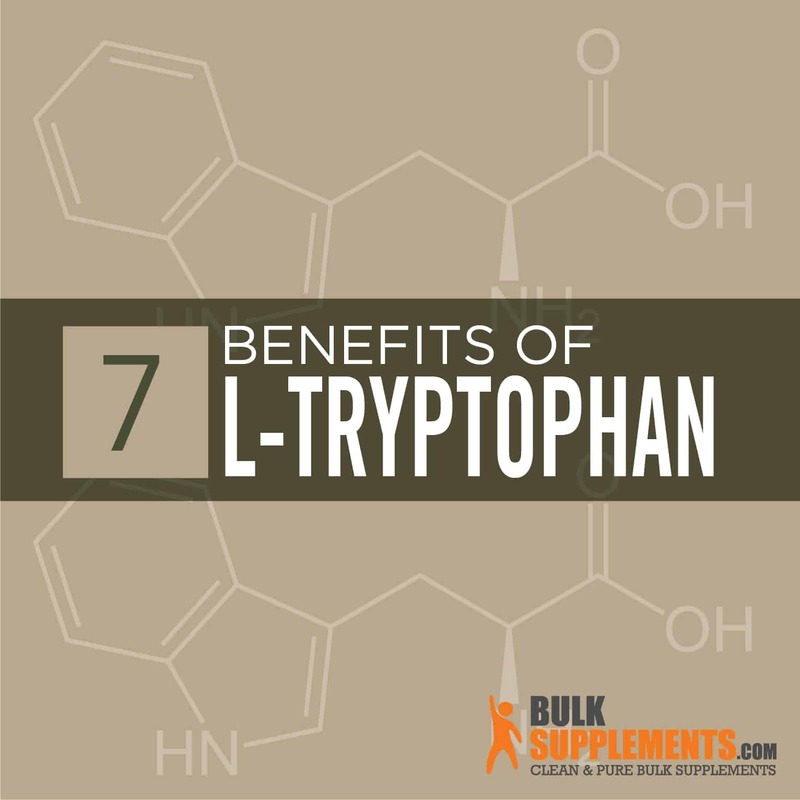 Because of its link to serotonin, tryptophan can help you stick to a healthy diet. Higher levels of serotonin help curb cravings and anxiety, all while boosting your metabolism–essential for maintaining a healthy weight. Tryptophan also aids in the production of niacin (vitamin B3) which converts macronutrients (proteins, fats, and carbohydrates) into energy and synthesizes hormones and enzymes that control appetite. Struggling to quit smoking? Try tryptophan! Research shows that when taken alongside traditional treatments, tryptophan can help you stop smoking once and for all (x). Tryptophan supplements could help ease PMS and premenstrual dysphoric disorder (PMDD, a more extreme form of PMS) symptoms, like irritability, anger, stress and mood swings (x). One Australian study recorded a reduction in symptoms of migraines and headaches, including nausea, sensitivity to light, indigestion and difficulty sleeping when test subjects consumed a drink containing amino acids including tryptophan (x). Since tryptophan is a natural amino acid, side effects are very rare. Taking excessive amounts could cause muscle pain or weakness, skin rashes, cramping and fatigue. Do not take tryptophan supplements if you already take medications that affect serotonin levels like antidepressants, as it could lead to a condition known as serotonin syndrome. The symptoms of serotonin syndrome include tremors, agitation, delirium and sweating. If you take medication that influence serotonin, talk to your doctor before adding a tryptophan supplement to your health regimen. Many proteins contain tryptophan. The most well-known is turkey, but other sources include chicken, eggs, shrimp and crabs. If you use a tryptophan powder dietary supplement, take 500 mg (scant 3/8 tsp) up to three times a day, or as directed by physician. Tryptophan supplements may also contain melatonin and 5-HTP. If you need a sleep aid, opt for a supplement containing melatonin. To improve your mood and memory, choose the supplement that contains 5-HTP. 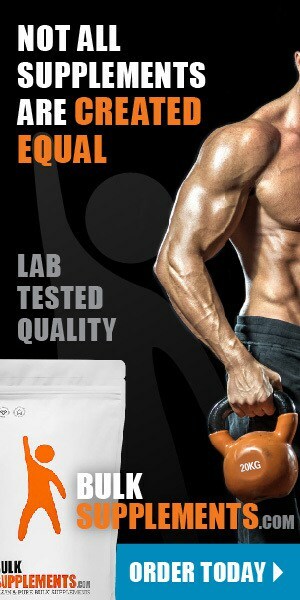 Amino acids are natural, readily available without a prescription and have few to no side effects. Tryptophan, one of the nine essential amino acids, produces hormones such as serotonin and melatonin — all of which regulate your sleep cycle, mood, behavior and appetite. While there’s no such thing as a “chill pill,” tryptophan comes pretty close!